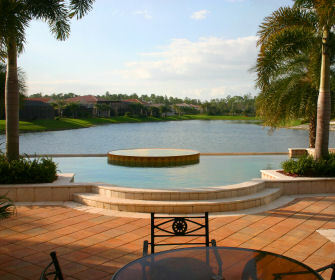 Lake Property in Florida, Lake Homes for Retirement in FL. Say "I saw you on SmallTownRetirement"
Your listing goes here Duval County: Active Adult Communities, Lake Front, Water Front. At Cumberland Harbour, breathtaking panoramas combine with a relaxing ambiance to create an inviting haven of natural tranquility. Encompassing 1,012 acres along the Intracoastal Waterway in historic St. Marys Georgia, Cumberland Harbour lets residents experience the true spirit of coastal living. In addition to the picture-perfect views, residents enjoy the convenience of nearby Jacksonville, Florida, approximately 31 miles away. In this very unique Florida property, each lot is carefully positioned to take full advantage of the natural surroundings. You will marvel at the beauty this land in Florida offers. Spend sometime relaxing on one of our many lakes. Lakefront Florida This website is devoted to providing information to anyone interested in purchasing Florida lakefront, lake view or lake access real estate. Based in Lake County, Florida we have over 1,000 natural lakes within our borders. We are the home of the Harris Chain of Lakes, a huge natural chain with over 76,000 acres flowing north to meet the Atlantic Ocean at Jacksonville. We also have hundreds of small and medium sized natural spring fed lakes that are perfect for a vacation or retirement home. If you are thinking of purchasing lake property for retirement be sure to take the time to ask questions and gather as much information about the area as possible. The first question you must ask yourself is do I want lake front or lake view. Lakefront certainly has the advantage of private access however the cost will normally reflect that. Is lakefront important enough to justify the higher price you are undoubtedly going to pay? Perhaps a beautiful lake view would be sufficient to meet your needs. If your property is not on the waterfront check for all available amenities of which communities might have to offer such as lake access, community boat launch and slips as well as piers. It is also important to know what other amenities the community has to offer that fits your lifestyle. You must first define the kind of lifestyle you desire. It is important to think about how you spend your leisure time. Are there activities that you cannot live without, If familiarity is important, consider areas where you have friends or family a built-in community or spots that you have frequented over the years. Look for locations that have the amenities that reflect who you are and what you like to do. It is important when purchasing property for retirement that you do no change the things you enjoy most in life just because the area does not offer it. It is also important to gather as much information about the nearest cities as possible. The local chamber of commerce would normally be the first place to start. Lake Apopka, Lake Beauclair, Lake Cannon, Lake Carlton, Lake Connie, Lake Dora, East Lake, Lake Eloise, Lake Eustis, Lake George, Lake Griffin, Lake Haines, Lake Harris, Lake Hartridge, Lake Howard, Lake Idylwild, Lake Jessie , Lake Kissimmee, Little Lake Harris, Lake Lulu, Lake Mirror, Lake Okeechobee, Orange Lake, Lochloosa Lake , Lake Rochelle, Rodman Reservoir, Lake Roy, Lake Smart , Lake Spring, St. Johns River, Lake Talquin, Lake Tohopekaliga, Winter Haven Chain, Lake Winterset, Lake Yale FL.